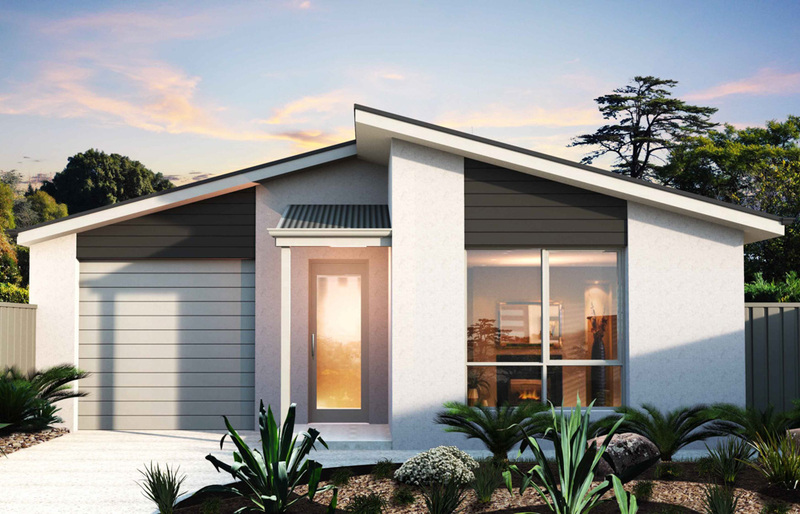 This modest and affordable family home may not look as big and fancy as its friends, but trust us when we say that the Meeka design packs a lot more punch than most single storey homes. 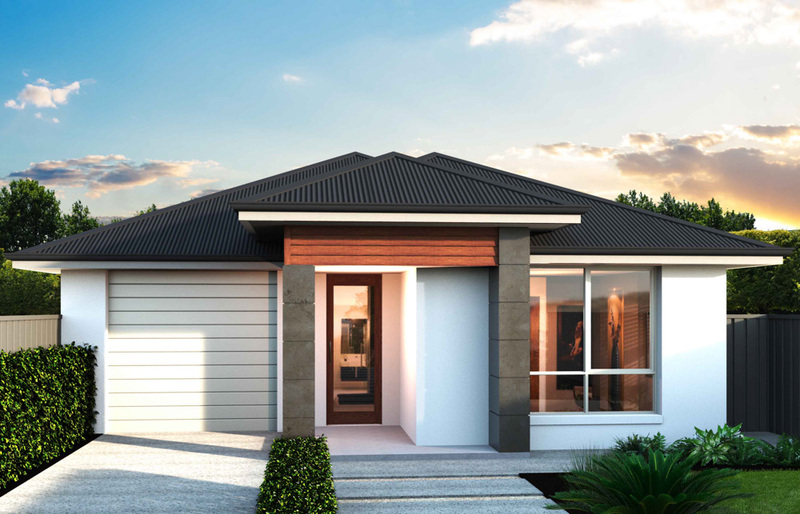 The compact facade welcomes you through the home past the generously-sized three bedrooms, including master bedroom with ensuite and walk-in robe. 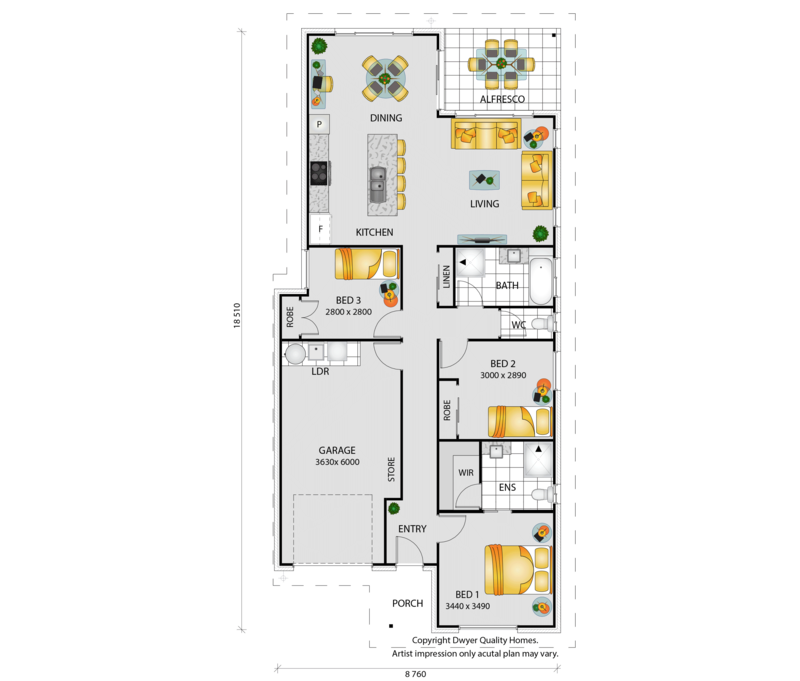 The living area is complimented with a island bench in the kitchen, which conveniently doubles as a breakfast bench for those on-the-move families. 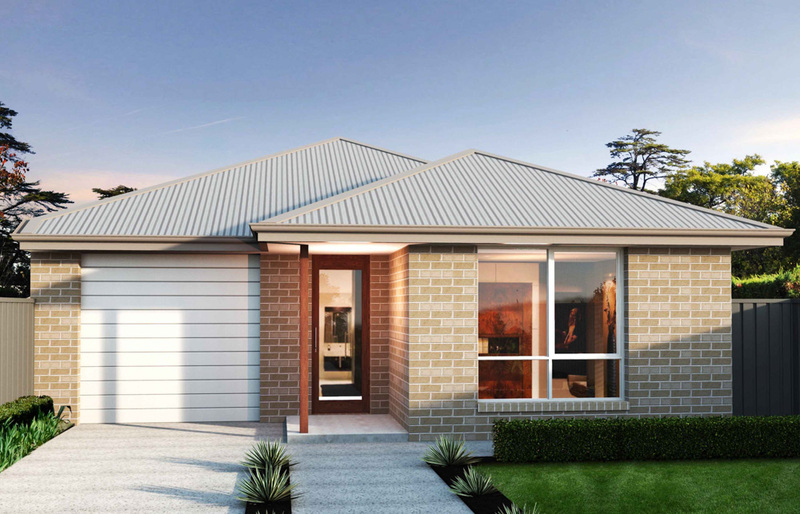 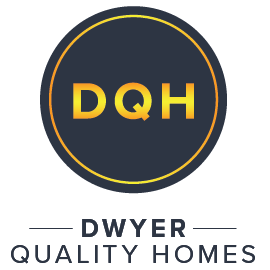 This home is perfect for first home buyers looking to save on their first home build.